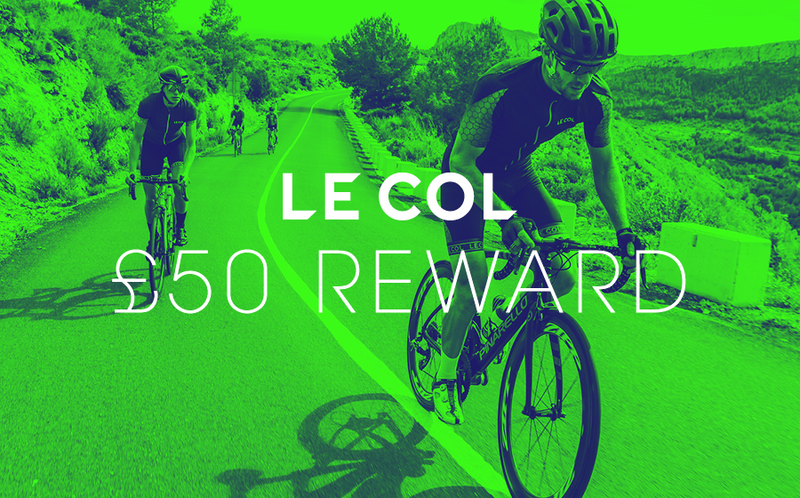 Ride 100 miles in 2 weeks to receive a £50 Le Col reward. Complete the Le Col 100 Mile Challenge and you'll earn a £50 reward from Le Col. Think you can do it in one ride? Do so and you'll be entered into a prize draw for £2,000 of custom kit for you and your friends. Plus, don't forget every day we'll be giving a kit away on Instagram, just share your ride with us and use #LeCol100MileChallenge for your chance to win. "Increasing miles and time on the bike at this time of year is key to your fitness progression. Taking the hard work put in through the off season and starting to intelligently implement a training plan for mid-season objectives should be a focus." As an incentive, we're introducing a custom kit prize for someone who completes the challenge in one ride. Perfect for a cycling club, or a group of friends, we'll help you design a one-off kit and manufacture it at our factory in Italy to the same specification as the Le Col Team Wiggins kit. All those who complete the 100 miles of riding will receive a £50 discount voucher to spend on Le Col premium cycling apparel. Complete it in one ride and you'll enter Le Col's £2,000 custom kit competition. Share your story on social media using #LeCol100MileChallenge & #BackYourself to enter our daily kit giveaway. (1) All those who successfully achieve 100 miles of riding will receive a £50 Le Col discount voucher. (2) Complete the challenge in one ride for your chance to win £2k worth of custom kit. 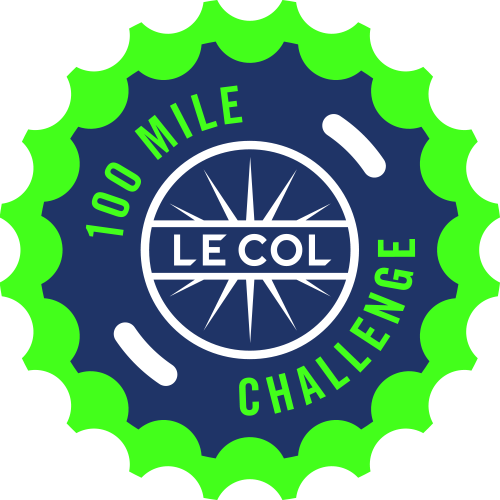 (3) Le Col will be offering daily prizes to cyclists sharing their story on social media using #LeCol100MileChallenge and #BackYourself. Athletes will receive a digital finisher's badge for their trophy case upon completing the challenge. Upon completion of the challenge, each finisher will be eligible for a £50 Le Col Discount Voucher which can be redeemed at lecol.cc. Challenge finishers will receive an email containing a link to a page on the Le Col website. Users will be required to enter their details. Le Col discount vouchers and sweepstakes entry will only be confirmed after submitting the required information. All entrants must be over 18 years old and must abide by the competition T&Cs available here: https://www.lecol.cc/strava-challenge-tcs.